While the intention was to use different colors, the blue against the white was so classic it overcame. 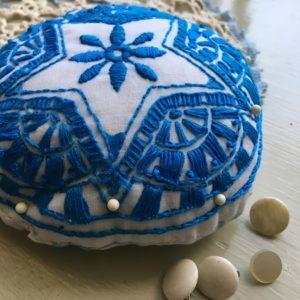 The pincushion is made from a white piece of fabric. The stencil was transferred to the cloth using DecoArt SoSoft Fabric Paint in Neon Blue. The paint left on the palette after the initial stencil was applied to the leftover fabric. Parts of the stencil were randomly overlapped. The fabric was popped into an embroidery hoop and the entire design was stitched using embroidery floss (3 strands of DMC). The design took two skeins to complete. 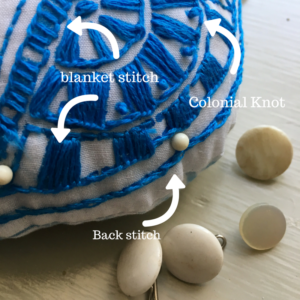 The stitches were padded satin stitch, backstitch, Colonial knot, and blanket stitch. 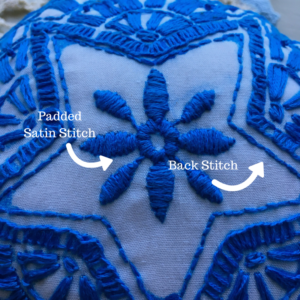 Once the stitching was complete, the embroidered piece was cut for size and placed against the randomly stenciled piece. The goal was to find the most pleasing circle within that pattern. The two sides were stitched together with right sides facing leaving a hole for turning right side out and adding the filling. 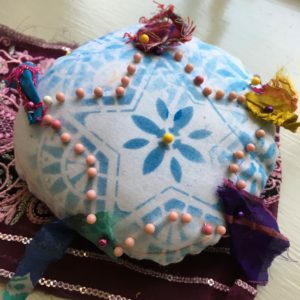 Sand was added to the pincushion. 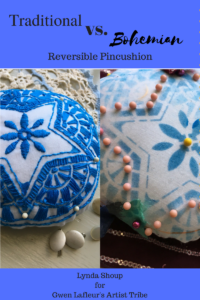 When stuffing a pincushion with sand don’t be tempted to collect some. Sanitized playground sand can be bought at a hardware store. 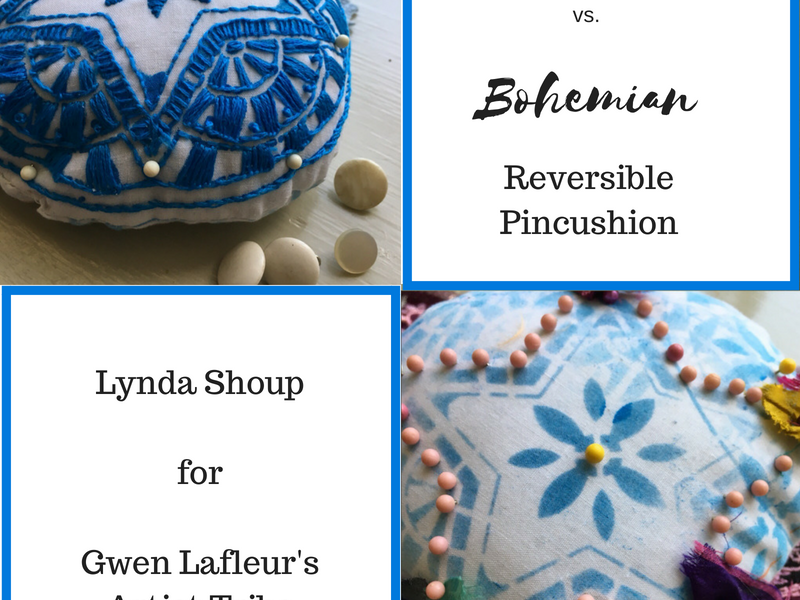 Stitch the hole together and, viola, you have a pincushion. The traditional side will have all white headed pins. 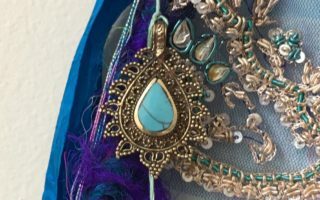 The bohemian side will have a variety of colors of pins and little flags of scraps from Irresistible India embellished sari scraps that I love. It will be fun to choose which side to use depending on the project that is being worked upon. You could also make two. A velvet bottom would also look good…. 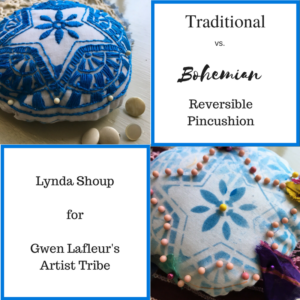 Somehow I see more pincushions in my future. 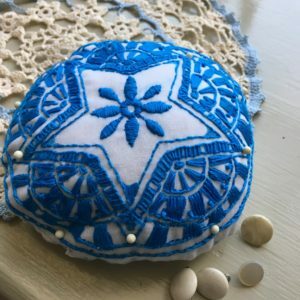 I’d love to know if you make your own pincushions and what they look like. 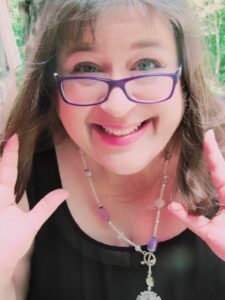 When I learned the Colonial Knot I started using it instead of the French Knot as I secures the knot and you will never have that problem of having the knot disappear into the fabric. Give it a try. I think you will like it. Thank you, Gwen! 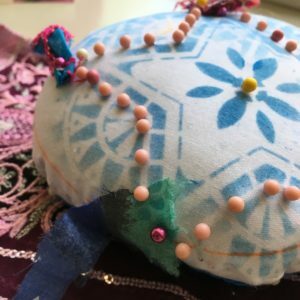 It certainly is fun to have the pincushion reflect the mood of the project. Your stencil sure does lend itself to this type of interpretation. 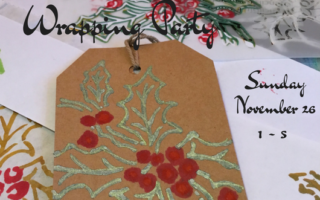 Don’t you just love the padded satin stitch?! It has taken me many years to use it decently. For far too long my satin stitches looked bedraggled. These came out the best of any I’ve made, so I was really happy about that. Thanks for the kind words.